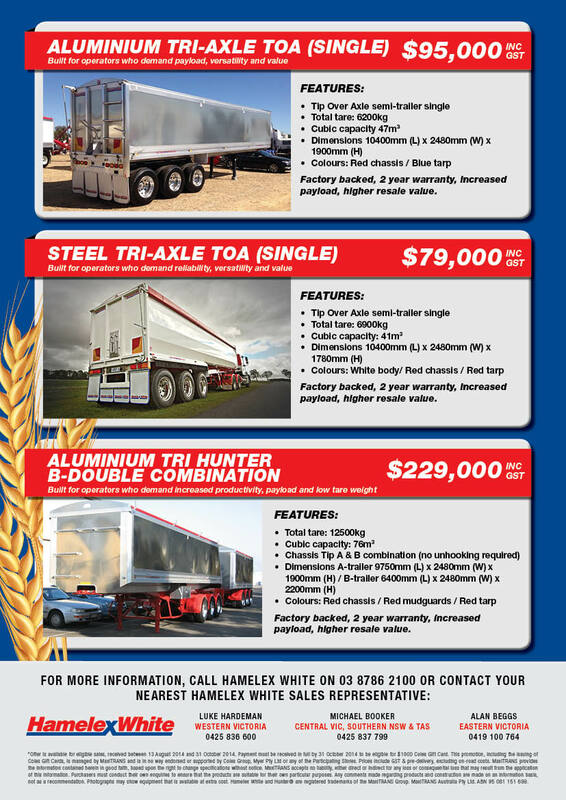 MaxiTRANS Dandenong’s Hamelex White Grain Season Special finishes soon. 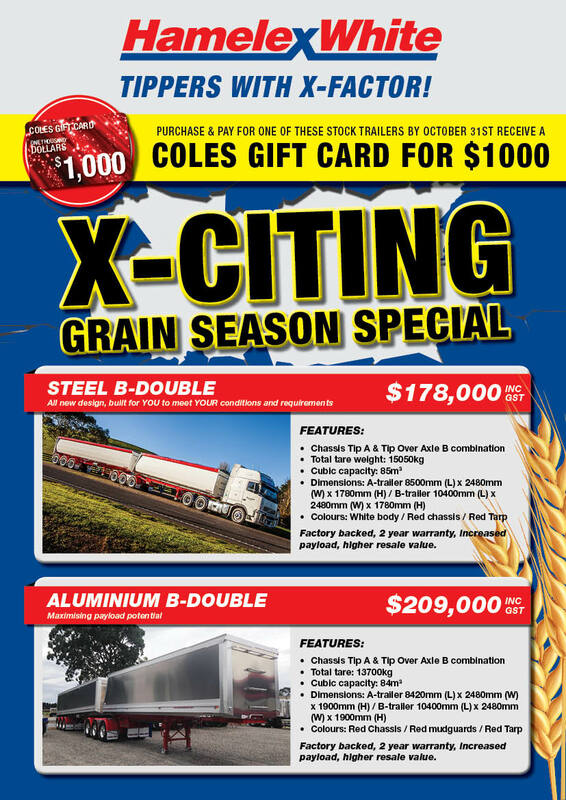 Purchase and pay for one of these stock trailers by October 31, 2014 and receive a $1000 Coles gift card. Take advantage of this offer before it is too late. For more information contact MaxiTRANS Dandenong on 03 8786 2100 or your Hamelex White sales representative.